Waves Reaches 1 Million Wallets! We have hit a major milestone in the history of Waves: our one millionth account has been created! Waves was launched in June 2016 with the intention of becoming a mass-market blockchain platform. Two and a half years later, we celebrate reaching a very impressive one million wallets created! We have seen steady growth since we started, but as the graphic below shows, that has been accelerating recently. Network effect is building, word is getting out and both businesses and ordinary users are starting to appreciate the real-world functionality that Waves platform has to offer. The reality is that there aren’t many blockchain platforms that have much real use. 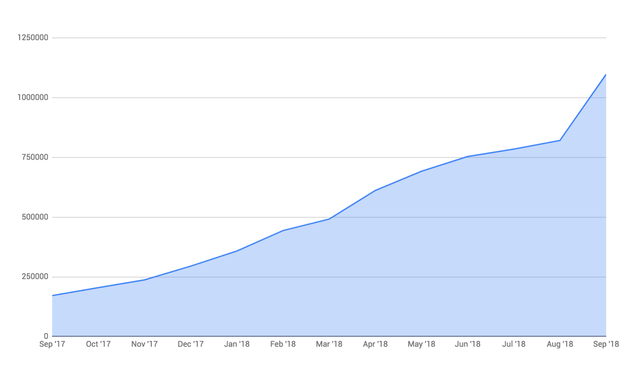 The Blocktivity website tracks key adoption metrics. According to this site, Waves comes in at 8th for daily transaction activity, and its capacity is dramatically higher — meaning it has a lot of room to grow. (Ethereum is at full capacity already, with thousands of pending transactions, whereas Waves stands at just 0.45% capacity — meaning 200x growth is possible.) A look at dev.pywaves.org/txs/ shows that Waves has typically supported 30–40k txs per day this month, but higher throughput is by no means rare. According to https://onchainfx.com/, and perhaps concerningly for the overall health of the sector, only 20 blockchains have more than 1,000 active addresses — those that have sent or received a transaction in the last 24 hours. Let’s just say Waves doesn’t have to worry on that score, thanks in part to regular airdrops and MassTransactions, but also our thriving DEX. Back at Blocktivity, we can see that it won’t be long before Waves surpasses ETC and KMD, especially after smart contracts are enabled. At that point, the next target is ETH, with half a million daily txs. Of course, the Waves community takes the credit for this impressive growth and ongoing daily use of our blockchain. 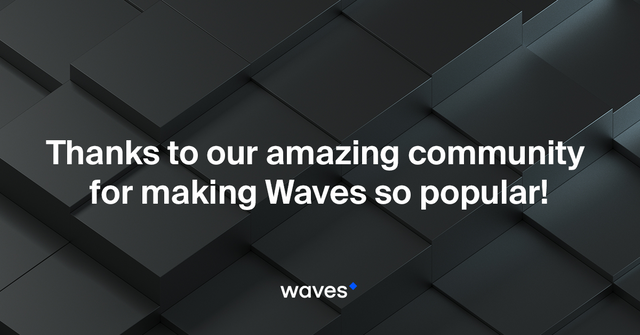 The businesses that have built real applications on top of Waves are driving adoption and adding value every day, so we want to give a huge ‘thank you’ to everyone who has already made Waves so popular. But we also need to say it’s still early days, and there’s a long way yet to go. We look forward to seeing where Waves ranks in another year! 1 million wallets but how many active wallets though? Greeting! All the information about transactions within Waves blockchain is always in open access and every user can check it. We couldnt see a follow through on the buy signal at weekly timeframe yet. Stop grabber buy pattern which targets previous high at 8450 is still valid. Interestingly we have cluster of fibonacci expansions just above the highs at 8550. This will be the first key resistance d-level on the weekly charts for bitcoin and we have another big fibonacci agreement resistance zone higher up around 10k-10250. Looking at our weekly fibonacci support levels; we dont have anything new.. Levels stands as the same. We have 0.618 support at 5700-5800 and massive support cluster of fib levels around 4700-4800k. When we look at the daily chart; We had a wash and rinse of previous lows 3 days ago and market rallied immediately after that. We have a litte bit resistance around 6900-7000 zone. A pullback is a buying opportunity towards that resistance zone and higher up we have more levels at 7550-7650. When we zoom down to 4 hr chart; we see a nice conflunce support around 6500. Weekly trend is up, daily is in a buy so fading 4hr sell around 6500 support zone looks reasonable. Remember the levels may vary depending on exchanges so please re-draw fib levels on your own trading exchanges. Crypto and decentralization are not the technologies of future, there are already here. That is excellent! We are so glad that Waves is performing so well. ModelcoinMC is a token on the Waves Platform and we are glad that we chose Waves to kickstart our project. We are on major social media platforms including Steemit. Check us out @modelcoinmc. In the future we plan to host a tutorial on our Steemit blog for our models to set up a Waves wallet, and we are looking forward to participating in the Waves Ambassador Program. We at ModelcoinMC thank Waves Platform for participating/blogging on Steemit and we are following @wavesplatform. Good platform with good tea. Great news for everybody. What do you mean good tea? What does tea have to do with Waves? I love the idea that other crypto projects can make announcements and promote their own chains on Steem. Wishing you the best on your projects! It only give an idea of what steem can achieve. careful in spamming, your reputation started to go down, your post will not be shown! interesting where can I read more about this. Is this some kind of proof of stake coin? Cool thanks Ill check it out. Thanks. I read over some of the redfish trending posts on steemit and I read the bitcointalk link. Where does the revenue come from from holding Redfish? this Monthly Revenue is a Giving Back to Community. It is our Steemit Earnings that we wanted to shares and we continue to share it since 2017! It slowly increase since then! 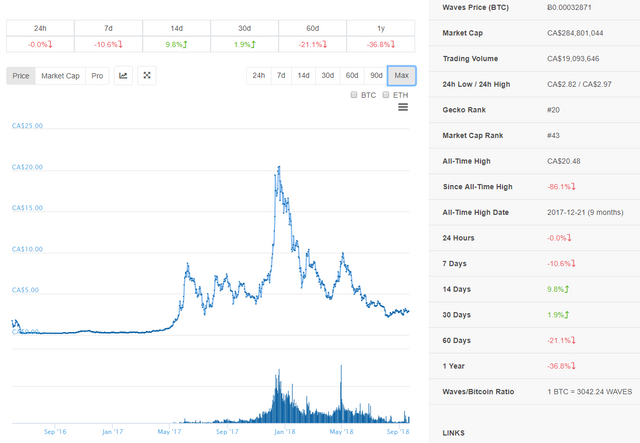 Any applications that are built on Waves like Steem? Hello, some applications will be presented after smart contracts activation. Please stay in touch. You got a 9.88% upvote from @postpromoter courtesy of @wavesplatform! Congratulations, wish the best for waves going forward. It is really good to see Waves performing well. I was with them in the early phases and to be honest things was not good and it was very glitchy, they have been improved a lot as I can see, they need to work more on their marketing because no matter how good you are, you will still need strong projects running on your platform to get things really starting. Sounds great! Although i would be curious to know how many are active. It's like a website saying it has 1 million signups. It doesn't mean that 1 million are active. Even so it's a great achievement and keep going! Hello. Unfortunately there is no statistics for this criteria, but you can feel free to make your own research and parse Waves blockchain with your own scripts for that purpose. All the resources are open. Waves is a fantastic platform! I hope there is much success. is it one million active wallets or just having that much wallets being created? Hello, the discourse in the article is on wallets that have been created. I gave you a vote! how to download waves wallet? Hello, please use this link https://wavesplatform.com/product for downloading. @wavesplatform great research. Awesome information. Thanks for sharing. Keep up the good work. Waves is a promising project. Enhorabuena!! A seguir creciendo pues!! Wow, great news. Keep up the good works! I have a waveswallet too but I m not doing any transactions there at the moment because I just hodl my waves. Longterm I m sure waves will have a lot of success because there is no other project that does allow token creation that simple. good platform. kudos to Waves.